Read my last post to learn what Memebox is HERE. You get 10 free meme points for joining, and they can be applied to your purchase. Save $3 per unique box when you use my affiliate link. I haven't tested out all the products yet but would like to share what I got inside my box. 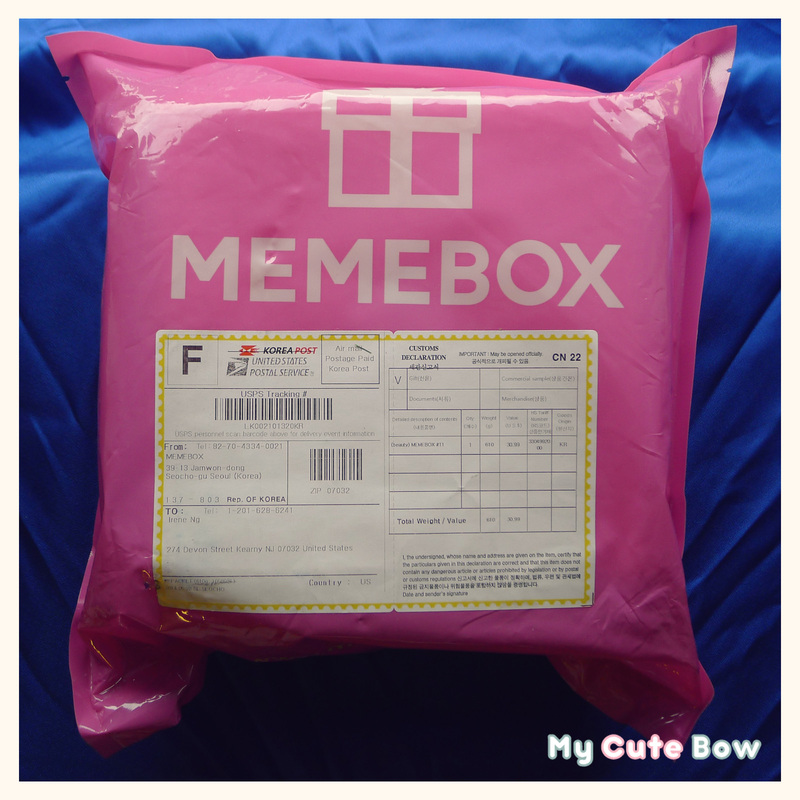 I ordered it on March 24, 2014 and it arrived this past weekend on June 7, 2014. Approximately 2 months. I would like to share that I was able to purchase this box for only $7.99 because of meme points! 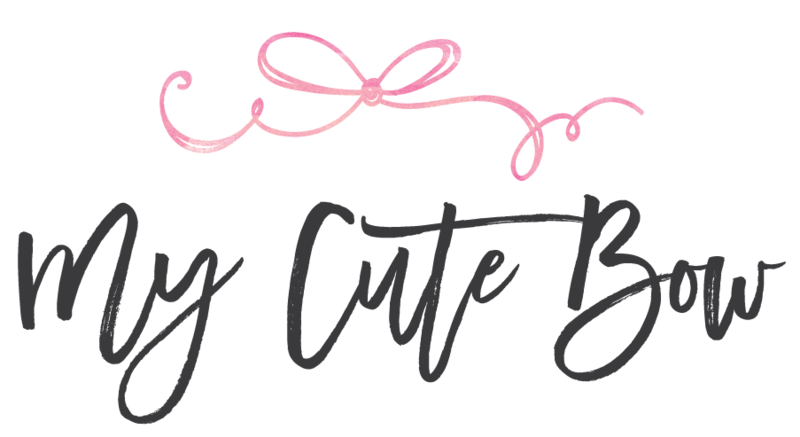 I received 5 points from my previous purchase of Global Box #8, 1st day of spring 5 points free, 2 points free for their website makeup, 2.14 points free for valentine's day, and a discount code for free shipping. I hadn't planned on buying another box before receiving my first box (#8), but this deal was too good to pass. It was safely packaged in bubble wrap. Inside the box you will get a card listing all the products. This box comes with 7, with 3 of them being full sized! The name is a combination of "booster" and "skin toner". Basically a 2-in-1 of serum and toner, giving your skin deep hydration and nourishment, boosting the effects of skincare to its maximum. To be applied evenly over your face, dabbing on the product with your hands. The product I received has a seal on it, and expiration date of 9-2016. Provides nutrition and moisture to your skin for an egg-smooth texture, this CC cream will brighten up your complexion, protect from the sun, and take care of signs of aging as well. The product I received has a seal on it, and a production date of 3-11-2014. At first I thought, oh more polish, cool. But after looking at the packaging, this product is pretty cute! You can make several designs with the 3 polishes. 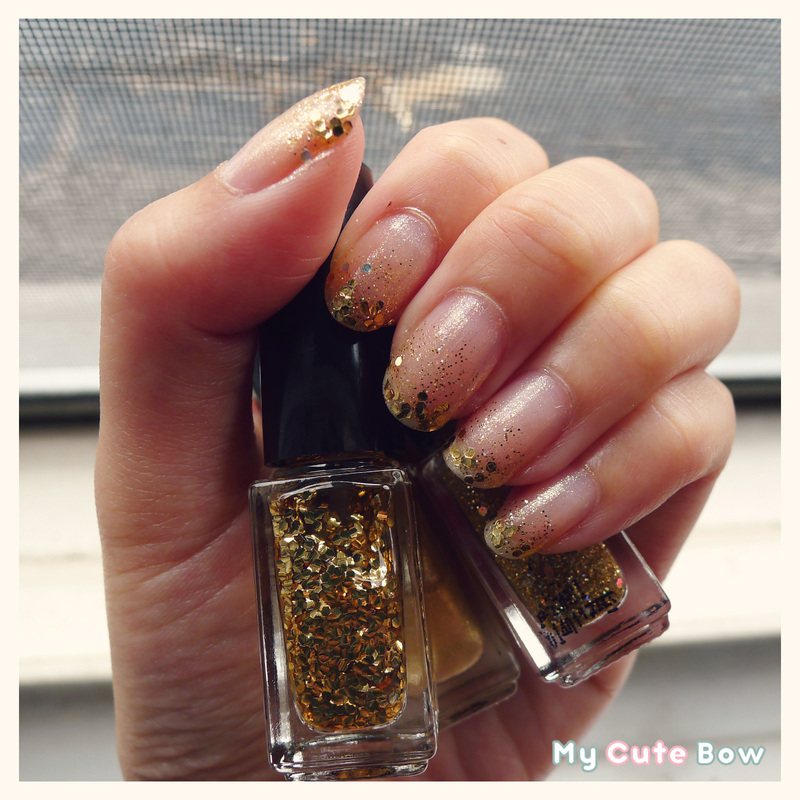 For the gradient look, the colors are to be used in 3 Steps, first the gold base color, then painting the 2nd shimmery gold color on the top half of the nail, and lastly the 3rd paint the gold specks on the tip of the nail. I tried it out, and it looks so pretty! It chipped after 2 days though, so I'll have to use better top coat next time. 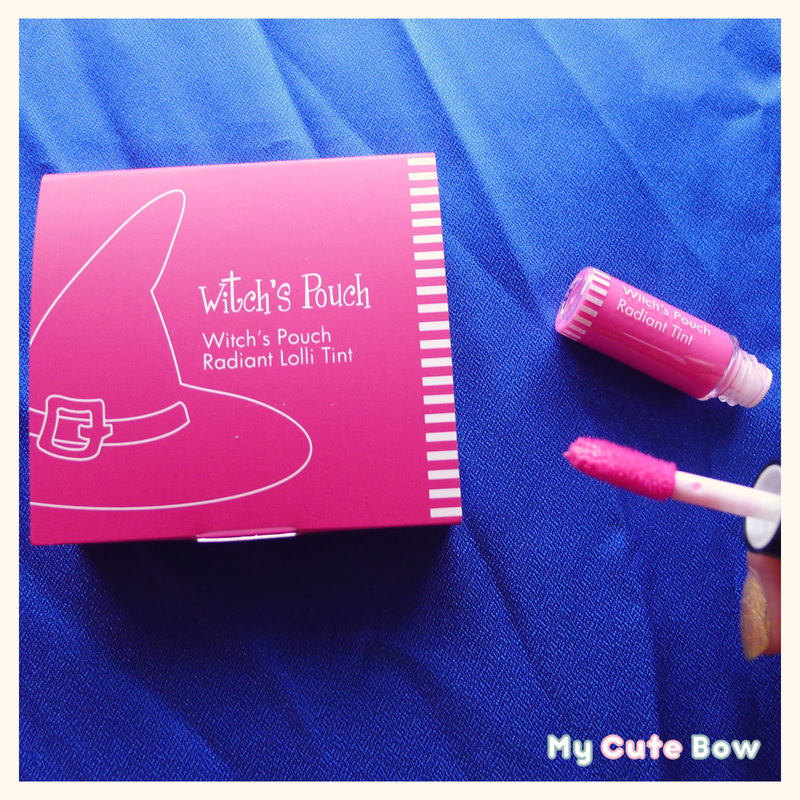 This lip tint is a bright pink color that plumps up your lips for a more radiant, younger look. Apply the lip tint from the inner contours of your lips for featuring naturally gradated, plump lips. Looks like this gloss can help acheive that Korean gradient lip look. Excited to have a sample of this. First lip product I've gotten with memebox. This gentle re-hydrating body lotion can be used on both your face and your body. It will glide over your skin without being sticky and deeply replenish your dry, damaged skin texture. 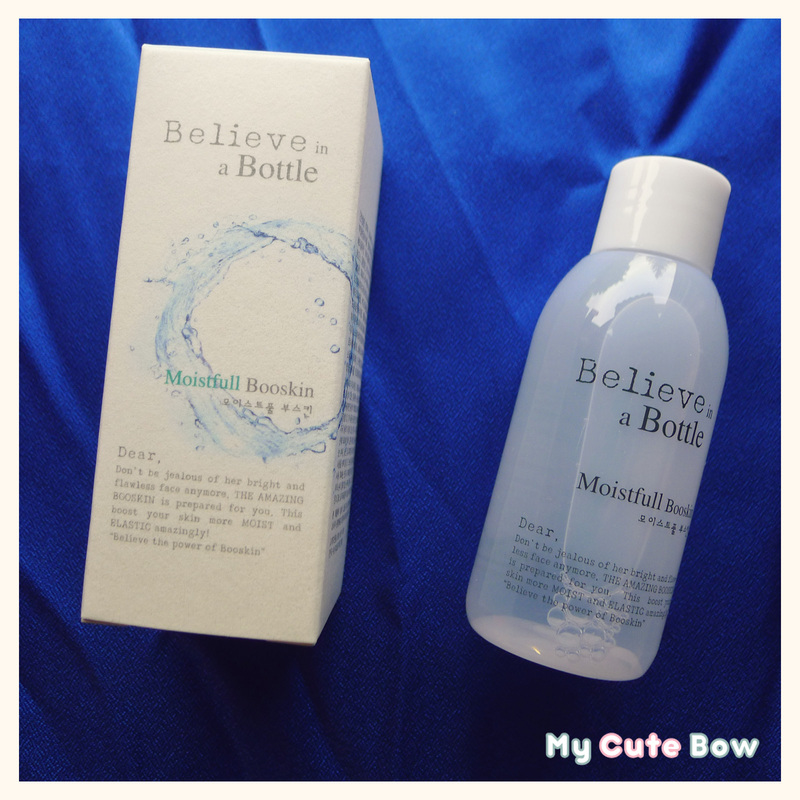 The packaging is really simple and cute, and it smells really fresh too. This 100% cotton mask drenches the skin with green tea, amino acids, minerals, and organic acids, while working to revitalize, comfort, and provide intense hydration. 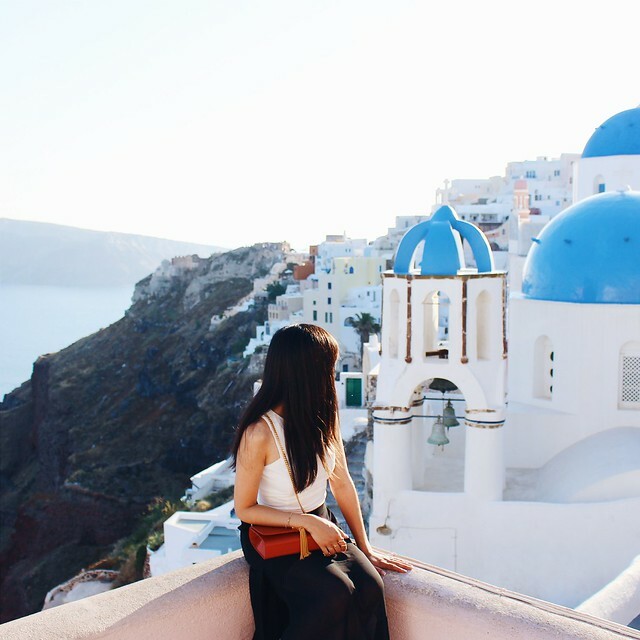 It immediately replenishes dehydrated skin, leaving it refreshed and cool. 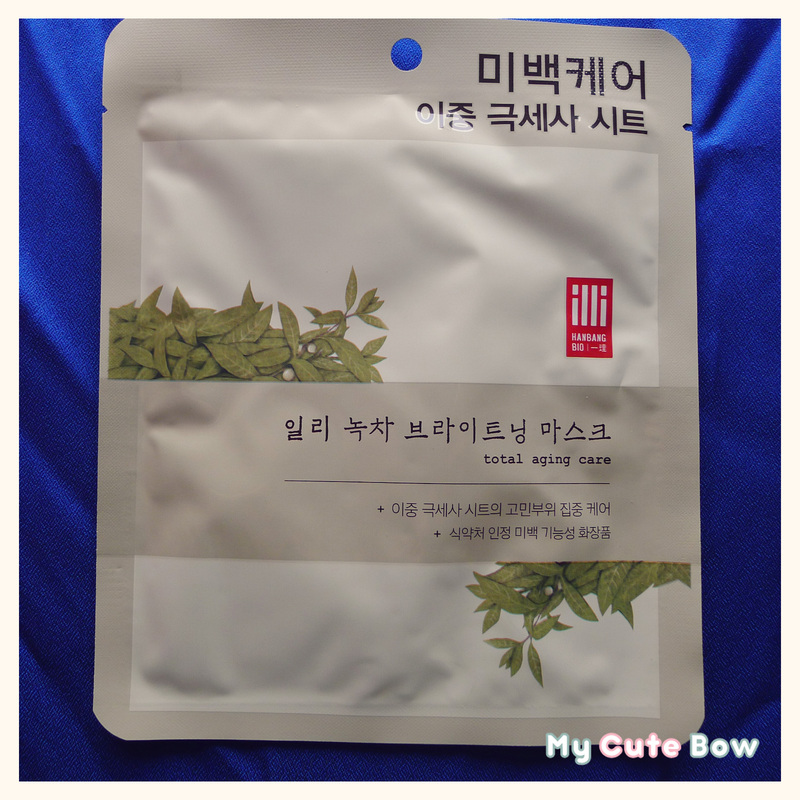 I love trying new masks, so I'm excited to get another mask from memebox. This product prevents water loss from the skin and replaces lost moisture. With the power of White Flower Complex, Niacinamide and other botanical emollients provide abundant nutrition and amplifies the skins natural ability to look healthy. 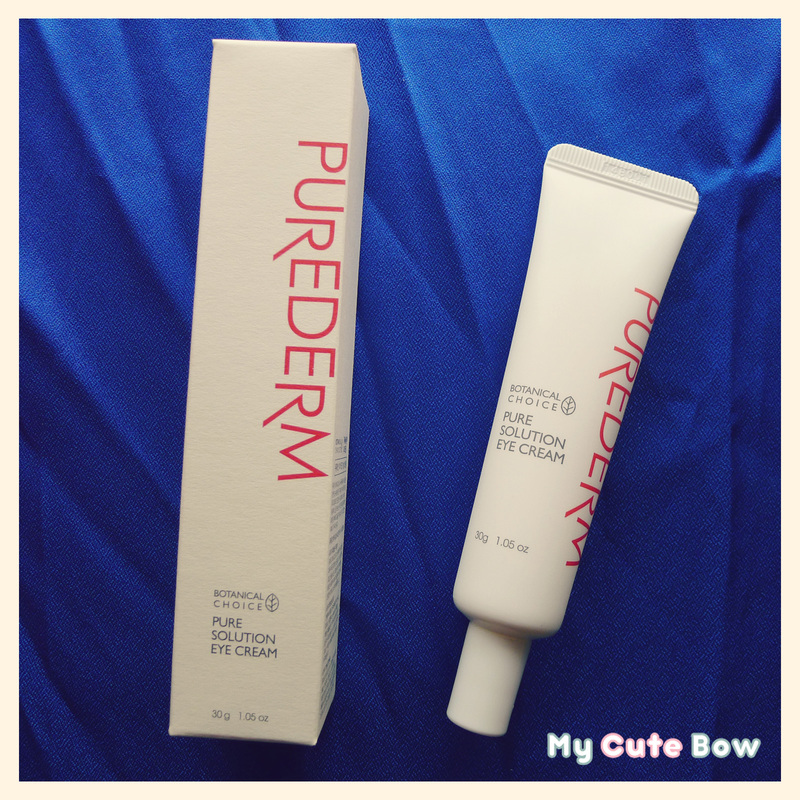 This cream's light and fresh texture absorbs easily into the skin and gives you a smooth and radiant finish. This is a full sized product. It has a seal on it, and expiration date of 1-2016. 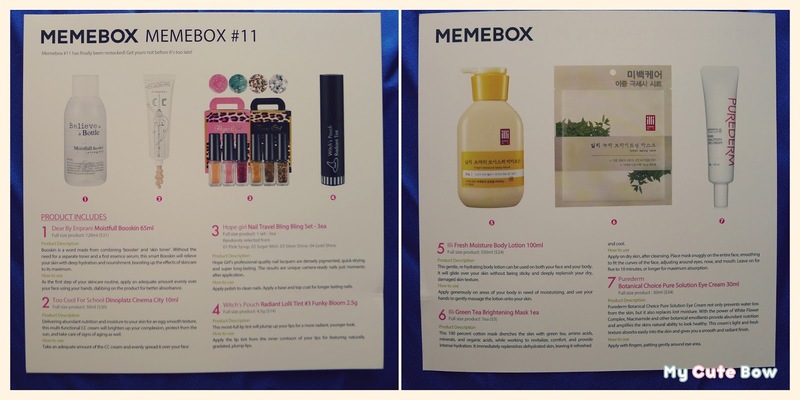 Overall, I am very happy with my this second Memebox I've ordered! It gave 7 products (with 3 being full sized products)! Which is a lot, since I read that most gave 4-6 products. And they are all decently sized too. The total worth is about $88.55.